This is such an easy make it takes, like, 3 seconds. 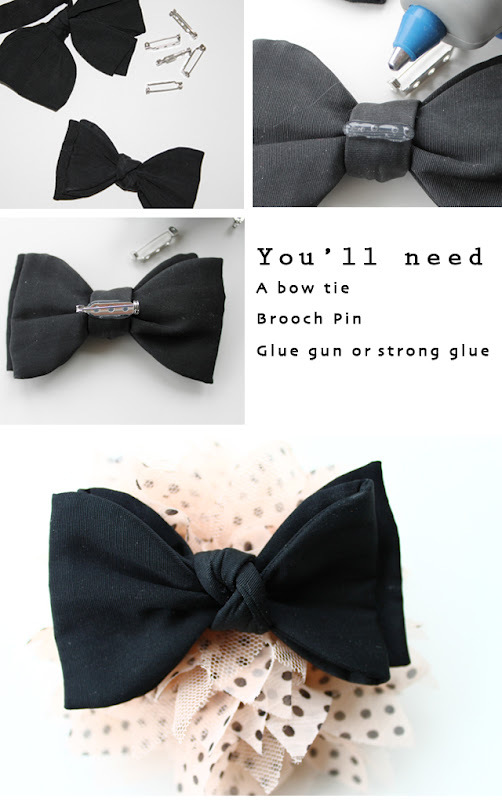 I had some bow ties kicking around that I picked up in a charity shop a while back, all I did was chop off the bit that goes round the neck and glue on a brooch pin. I've been sprucing up all my slightly tired looking cardi's with these and other corsages I have in my collection, they're going down a treat. 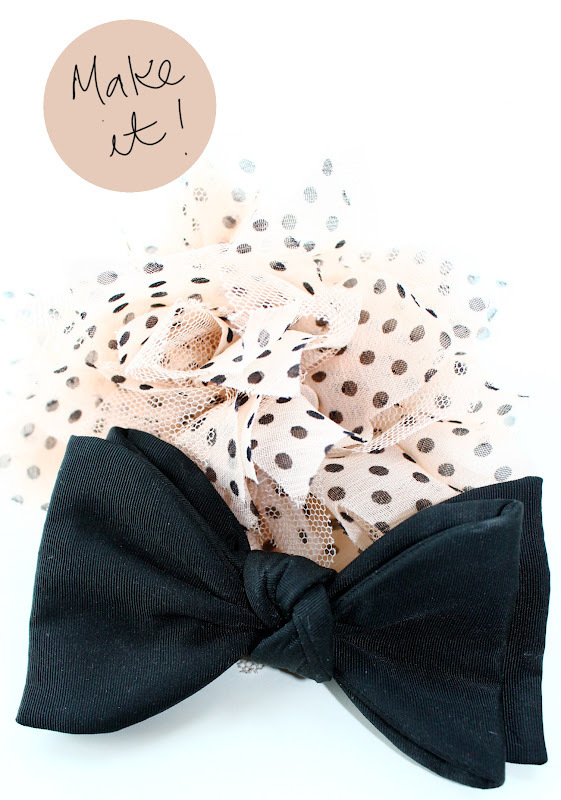 If you don't have a spare bow tie you can just make a bow from ribbon, use the bow from this DIY if need some help. Happy making!